The story: Texas-based Dell and its CEO, Michael Dell, have been under investigation from the Securities and Exchange Commission for five years on a fraud case. During the recession, many (non-Apple) tech companies suffered, especially those that, like Dell, cater in large part to business customers. Yet Dell remained quite solvent throughout the last few years. It turns out that Dell had been receiving huge payoffs from Intel to ensure Dell’s computers shipped only with Intel chips, rather than the often lower-priced offerings from Intel’s rival, AMD. Those payoffs were so big that they accounted for a double-digit percentage of Dell’s operating income in several quarters, and in the first quarter of 2007 actually made up a whopping 76%. Said the SEC in a statement, “It was these payments, rather than the company’s management and operations, that allowed Dell to meet its earnings targets.” Yet Dell neglected to disclose these payoffs to its investors. The payoffs, as shady as they may seem to customers who might want AMD chips (or, for that matter, to AMD itself), aren’t illegal. What’s illegal is failing to adequately inform investors of the source of income. That Dell remained stable was due in large part to money that had nothing to do with the sales of any of Dell’s products, giving an inaccurate view of how successful the company was. This isn’t the first legal struggle Dell’s endured recently: The company is also under investigation for knowingly shipping defective products that often broke down in spectacular fashion. 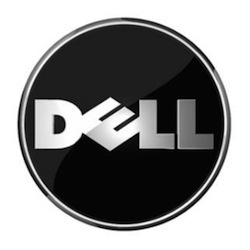 Dell and the SEC came to an agreement to pay $100 million to settle the charges.